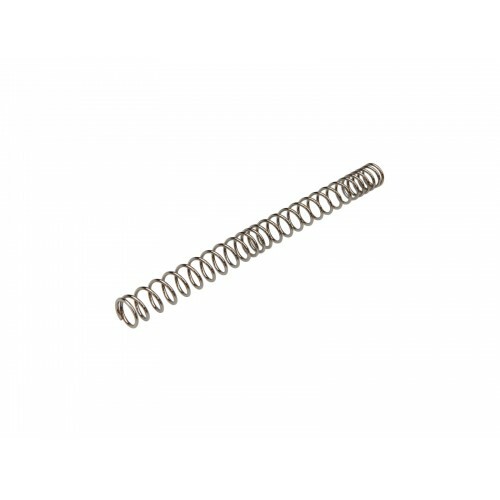 The ULTIMATE® Upgrade Series doubled progressive springs make sure the torque of the motor is used to its full extent giving a higher rate of fire. Must be used with appropriate ULTIMATE® upgraded internal components to secure the best performance and durability. The ULTIMATE® springs are named M100, M110 etc. according to their expected tension in meters per second – measured when using a 0.20gr BB and a 300mm long barrel. In turn, a M110 spring would give 110 m/s. To convert to feet per second (fps) simply multiply by 3,28, e.g. : ref. 16671 – M120 – 120ms/394fps.